All the living organisms on the Earth have been divided into six biological kingdoms. Protists are the living things that have their own kingdom, called Protista, among the six kingdoms. Protists are very diverse organisms and are different from plants, animals, and fungi that you may be familiar with. Protists are unicellular organisms belonging to eukaryotic cells, but they are simpler than many eukaryotes. Protists contain very organized structures in their cells, called organelles, which perform many complex functions. Protists are majorly unicellular but there are some exceptions of multicellular protists that mostly belong to algae – brown and red algae – in the kingdom of protists. There is a large number of organisms in the Protista kingdom. All the protists have a large number of types according to their function, survival, and structure. But there is also another way of categorizing the protists, which is by their movement. There are three main types of protists according to the way of their movement. These types are flagella, cilia, and pseudopodia. Flagella – These types of protists have a tail at the back of their cell body. They can move forward with the help of their tail when they move back and forth. Cilia – These types of protists have special microscopic hair on their cell body. When they flap their hair together in a series, they can propel themselves forward in liquids. Pseudopodia – These protists directly use their body to propel them. They let their body to flow in a direction where they want to move to make pseudopodium (false feet). Different groups of protists survive differently from each other. They gather energy for themselves in many ways, some of which are photosynthesis, digesting food, and eating pre-digested food. Protists that survive on photosynthesis, called algae, are not plants because they miss certain structures in their body. There are 3 main groups of protista, each has its own characteristics and function. These are algae, slime molds, and protozoa. Algae are a group of protists that comes closer to plants because they can perform photosynthesis. But they different than the plants due to lack of some structure which are leaves, roots, and stems. Algae have a wide variety of colors; brown, red, and green. Slime molds are the group of protists that have some characteristics similar to fungi. These organisms are mostly found in compost and rotten wood. They rely on decaying materials for their survival and spread slowly for the search of food. When the food scarcity increases, the cells of slime molds come closer to form a dense group. When acellular slimes molds form a dense group, they may fuse together to form a single cell that contains a large number of nuclei. On the other hand, cellular slime molds don’t merge together to form a single cell. Instead, they remain as individual cells in a dense group. Protozoa are one of the major groups of protists that have some characteristics that are somewhat similar to animal cells. Protozoa are mobile, they can move freely, and can’t produce food for themselves similar to animals. 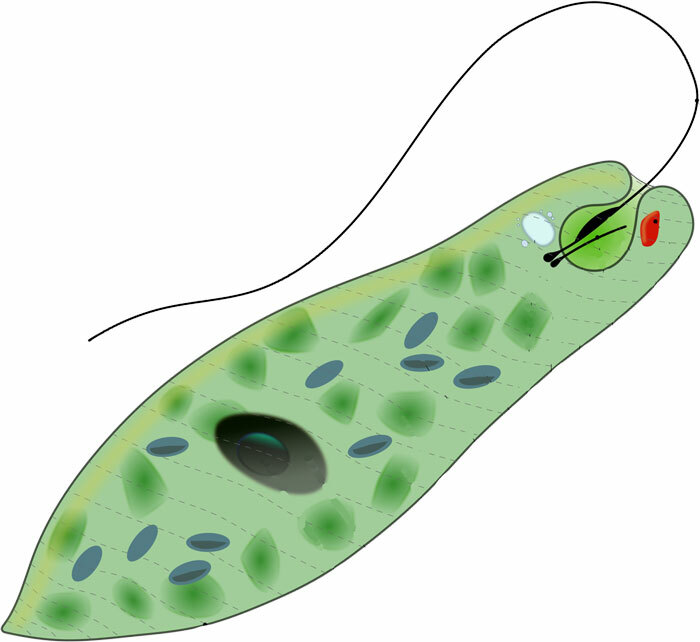 Protozoa can move from one point to another by one of three methods; pseudopodia, cilia, and flagella. Moreover, there are some protozoa that seize to move when they reach adulthood. One of the examples of protozoa is an amoeba, which is a single cell organism. Amoeba is able to move with pseudopodia (false feet) and can take external sources of food. It is also considered as a shapeless organism because it changes the shape all the time and doesn’t follow a single shape. There are many types of protists that can make a person sick, and are categorized in pathogens. Amoeba doesn’t die when it is cut in two halves. If you do so, the half of amoeba with a nucleus will be alive, while the other half without a nucleus will die. Malaria is a disease that is mostly spread by mosquitoes when they bite us. Malaria is caused by a microorganism, called Plasmodium falciparum, which is a protist. Abdul Wahab, "Protists," in Science4Fun, April 12, 2019, http://science4fun.info/protists/.